We are committed to providing fun, safe and secure Site and Apps for people of all ages. We are dedicated to safeguarding all personal information we collect online and to helping our visitors learn how to exercise control over personal information while exploring the Internet. You do not have to provide us with your personal information. However, if you do not provide us with the information we require, we may not provide you with some of our products or services. As operator, we do not collect personally identifiable information on our Site unless you voluntarily provide it to us when you visit our Site, including when you participate in activities on our Site like contests, informational and promotional offers, and when you provide information to our customer service representatives. For activities such as entering contests and sweepstakes, we may ask visitors to provide a first name and e-mail address. We do not continue to retain or use any personal information we obtain through a contest or sweepstakes after we have successfully selected a winner(s), awarded the prize(s), and administered the contest or sweepstakes, except to the extent it is necessary to keep winner's details for record keeping purposes. In order to provide appropriate customer service support for some features of our Site or to improve our Site or products, we may ask visitors to provide a first name, email address and limited information that is relevant to a customer service inquiry. Other activities conducted via the Site may require additional information from you, such as transaction-related information (e.g. when you make purchases, respond to any offers). For specific one-time requests we receive from visitors on Site, e-mail addresses are collected and used only in connection with the specific one-time request. For example, for sweepstakes and contests, e-mail addresses are collected for the purpose of entering the online sweepstakes or contest on a one-time basis and are used to notify winners of the sweepstakes or contest once by e-mail. When visitors come to our Site, we also may collect some non-personally identifiable information such as the current Internet protocol address and the type of computer operating system you are using (e.g., Microsoft Windows or Mac OS), the type of browser you are using (e.g., Firefox, Internet Explorer), the domain name of the Internet service provider (e.g.,SingTel, StarHub and MyRepublic), your activities while visiting our Site, your activities while playing games or utilizing services on our Site (e.g., which of our Web pages you viewed or which games you played), and the advertisements you have been shown. Our Apps generally include features, functionality and informational content. The data collected in an App may vary by App but will include any information a user provides once the user downloads and uses the App. For example, some of our Apps may require you to first register and create an account with us (e.g. user name, password, or email address) before you can use it. Other Apps may require additional information from you, such as transaction-related information (e.g. when you make purchases, respond to any offers). We may also use information you provide us to reach you when you contact us for help. If you interact with third-party social media sites and applications, we may have access to certain information from your social media account such as your user name, profile picture, information about friends and followers, and content posted or viewed through the social media. When you use social media networking platforms and plugins, you share your information with them and their use of your information will be subject to that social media site's privacy practices. To help improve the design, functionality, performance and content of our Apps, we usually collect certain information when you use the App on your mobile device, such as usage, viewing and technical data including the type of mobile device you use, your unique device ID, your device's IP address, your mobile operator and operating system, the type of mobile Internet browsers you use, and information about the way you use the App. Our Apps usually do not collect precise information about the location of your mobile device and only would do so if you are specifically prompted to provide your consent to do so. You can always manage your location preferences at any time by adjusting the settings on your device. Any of the companies within our group and our other subsidiaries, affiliates and associated companies around the world or to Turner Broadcasting System Asia Pacific, Inc. or its subsidiaries or affiliates. Our agents or contractors to provide services on our behalf, such as helping us conduct a sweepstakes, sending prizes to winners, shipping customer orders made on the Site, processing payments, or providing customer service related to activities on the Site. In these cases, we require our agents and contractors to keep the personal information we provide to them confidential and to use it only for the specific services they are performing for us. Our third party information technology, infrastructure and operations service providers (e.g. cloud storage providers), consultants and advisers. If we or one of our business units are acquired by, sold to, or merged with another entity, to that entity and their advisers. Any other entities notified to you at the time we collect your personal information. We will not use or disclose personally identifiable information in ways that are materially different from the ones described above without notifying you and, if required, obtaining your consent. "Web beacons" or clear .gifs or similar technologies are small pieces of code placed on a web page to monitor the behavior and collect data about the visitors viewing a web page. For example, web beacons can be used to count the users who visit a web page or to deliver a cookie to the browser of a visitor viewing that page. We, our third party service providers and/or our partners may use web beacons on our Site or Apps from time to time for this and other purposes. Operator operates globally so it may be necessary to transfer any information provided to this Site or Apps internationally. In particular, the information provided will likely be disclosed to, processed, stored and maintained by our affiliates or third party partners in Hong Kong, Singapore, the United States and the United Kingdom where many of our central databases and third party partners operate. The data protection and other laws of other countries may not be as comprehensive as those in your country. We have put in place reasonable physical and electronic security measures and managerial procedures in an effort to safeguard the personal information we hold and help protect your personal information from misuse, interference and loss and from unauthorized access, modification or disclosure. We are particularly sensitive to visitors' security concerns regarding the use of credit cards to purchase products over the Internet. For orders placed on our Site, we use a technology that automatically encrypts credit card data while information is being transmitted over the Internet, provided that the visitor's browser supports the Secure Socket Layer protocol (SSL). To verify the security of your connection at our Site, check the lower left corner of your browser window after accessing the server. If you see an unbroken or a closed lock, then SSL is active and the server is secure. You may also check by looking at the URL line of your browser. When accessing a secure server, the site address will change from http to https. Despite the steps we have taken, data protection and security measures are never completely secure and we cannot guarantee the security of your personal information. You must take care to protect your personal information (for example, by protecting any usernames and passwords) and notify us as soon as possible if you become aware of any security breaches. request that we no longer collect or maintain such information. Please be sure to include your e-mail address and a telephone number where we can reach you. To protect our visitors' privacy and security, we will take reasonable steps to verify your identity before granting you access, making corrections or deletions to the personal information that we collect and maintain about you. For information collected on our Apps, you can stop all collection of information by the App easily by uninstalling it from your device. You may use the standard uninstall processes as may be available as part of your mobile device or via the mobile application marketplace or network. If you would like to opt out and stop receiving marketing communications from us, you may follow the "unsubscribe" instructions provided in any marketing email or for mobile device push notifications, you can manage your preferences either through your device or App settings depending on the type of device. If you'd like us to correct, update your information, or help you opt out from our marketing communications and/or delete user provided data that you have provided via the App, please contact us at the email address below and we will respond in a reasonable time. Please note that some or all of the user-provided data may be required in order for an App to function properly, and we may be required to retain certain information by law. We will refer your complaint to our Operator Privacy Officer who will investigate the issue and determine the steps that we will undertake to resolve your complaint. We will contact you if we require any additional information from you and will notify you in writing of the outcome of the investigation. If you are not satisfied with our determination, you can contact us to discuss your concerns or contact to the privacy regulator in your jurisdiction. This Site is controlled and operated by Operator of 456 Alexandra Road, #05-02 Fragrance Empire Building, Singapore 119962. All materials on this Site, including text, information, data, graphics, images, illustrations, audio clips, video clips, organisation, compilation, meta data, look and feel, advertising and all other protectable intellectual property is protected by copyright, trademark, and other intellectual property rights that are owned and controlled by Operator and/or by other parties that have licensed their materials to Operator. All materials on in this Site is solely for your personal, non-commercial use. You must not copy, reproduce, republish, upload, post, transmit or distribute such material in any way, including by e-mail or other electronic means or media and whether directly or indirectly and you must not assist any other person to do so. Without the prior written consent of the Operator and/or the owner (where applicable), modification of the material, use of the material on any other web site or networked computer environment, social media or other internet-based environment, or use of the material for any purpose other than personal, non-commercial use are violations of the copyright, trademark and other intellectual rights of the Operator and or owner (where applicable), and are strictly prohibited. For the avoidance of doubt, any use for which you receive any remuneration, whether in money or otherwise, is a commercial use for the purposes of this clause. The holders of the trade marks for the characters that appear on this Site are listed here: http://www.cartoonnetworkwave.com/legal-notice. You must not reproduce, retransmit, disseminate, sell, publish, broadcast, distribute, perform, display, create new works or commercially exploit material contained on the Site, nor can the Site and anything available from the Site be used in connection with creating, promoting, trading, marketing investment products without the express written consent of the Operator. This Site may contain links to other web sites ("Linked Sites") or its mobile applications associated with the Site (“Apps”) (Site and Apps collectively referred to as “Services”). The Linked Sites are for your convenience only and you access them at your own risk. Operator is not responsible for the content of the Linked Sites, whether or not Operator is affiliated with sponsors of the sites. Operator does not in any way endorse the Linked Sites. Operator is unable to exercise control over the security or content of information passing over the network, and Operator hereby excludes all liability of any kind for the transmission or reception of infringing or unlawful information of whatever nature. Operator accepts no liability for loss or damage suffered by you as a result of accessing the Site which contains any virus or which has been maliciously corrupted. By submitting any e-mails, notes, message postings, ideas, suggestions, concepts or other material through this Site or in any other way to Operator, you (a) grant to Operator all copyright and other property and intellectual property rights, (b) warrant that you have the right to make that grant and that nothing in your submission is confidential and/or proprietary to any person, (c) allow Operator to make any use of your submission, its contents and any information associated with it in any way Operator chooses (including for advertising or promotional purposes), without payment or any other consideration to be made to you, subject to Operator's privacy policies as they exist from time to time; and (d) you expressly grant the Operator to use your e-mail address to send you Service-related notices, informational and marketing emails. You may choose to unsubscribe from the emails by following the corresponding link included in the emails. The materials within the Services and this Site are provided "as is" and without express warranties of any kind. You understand and agree that your use of the Site and/or the Services is at your own sole risk. Operator and each of its partners (where applicable) disclaim all warranties, express or implied, including implied warranties of merchantability and fitness for a particular purpose. Operator cannot accept any liability for loss or damage suffered by you arising from your use of information contained on the Site. You should take adequate steps to verify the accuracy and completeness of any material contained on the Site. Neither Operator, its partners, nor any person involved in the creation, production, and distribution of the Services warrant that the functions contained in the Services will be uninterrupted or error-free, that defects will be corrected or that Operator (or its partner as applicable) or the server that makes them available are free of viruses or other harmful components. The material that you read on the Services are provided solely for entertainment and promotional purposes. Neither Operator nor its partners warrant or make any representations regarding the use or the results of the use of the Services in terms of their correctness, completeness, accuracy, reliability or otherwise. You expressly agree that neither Operator nor its partners, nor any of their respective employees or agents, nor any person or entity involved in the creation, production, and distribution of the Service are responsible or liable to any person or entity whatsoever for any loss, damage (whether actual, consequential, punitive or otherwise), injury, claim, liability or other cause of any kind or character whatsoever based upon or resulting from the use of the Services or Merchandise sold and distributed via the Services. You expressly acknowledge and agree that Operator (and each of its partners, as applicable) is not liable or responsible for any defamatory, offensive or illegal conduct of other subscribers or third parties. Neither Operator nor its partners assumes responsibility for any error, omission, interruption, deletion, defect, delay in operation or transmission, communications line failure, theft or destruction or unauthorised access to, or alteration of, user or member communications. Neither Operator nor any of its partners is responsible for any problems or technical malfunction of any telephone network or lines, computer online systems, servers or providers, computer equipment, software, failure of email or players on account of technical problems or traffic congestion on or at the Services, including injury or damage to users and/or members or to any other person’s computer related to or resulting from participating or downloading materials in connection with the web and/or in connection with the Service. You assume the entire cost of all necessary servicing, repair or correction. Unless otherwise specified, the materials in the Operator web site are presented solely for the purpose of entertainment and promoting programs and other products available in the Asia Pacific Region. Operator makes no representation that materials in Operator's web site are appropriate or available for use in other locations. Those who choose to access this site from other locations do so on their own initiative and are responsible for compliance with local laws, if and to the extent local laws are applicable. This agreement is governed by laws applicable of Singapore, and you submit to the exclusive jurisdiction of the courts of Singapore. Operator’s failure to enforce any right or provision of these terms and conditions will not be considered a waiver of those rights. If any provision of these terms and conditions is held to be invalid or unenforceable by a court, the remaining provisions of these terms and conditions will remain in effect. Operator is constantly updating materials on the Site and/or Services. Operator may experience delays in updating information. Operator therefore reserve the right to change or update information and to correct errors, inaccuracies, or omissions at any time without prior notice. Operator may suspend the operation of the Site for repair or maintenance work or in order to update or upgrade its content or functionality from time to time. Operator does not warrant that access to or use of the Site or of any sites or pages linked to it will be uninterrupted or error free. Operator may discontinue or change all or any of the Services or materials on the Site, or their availability to you and/or any and/or all of their users, in its sole discretion, at any time without notice. Operator may change the format and content of the Site at its sole discretion from time to time. You should refresh your browser each time you visit the Site to ensure that you access the most up to date version of the Site. You are responsible for all activity occurring under your registered account, including maintaining the confidentiality of your email address and password, and you agree that any authorized user will not permit the disclosure of both your email address and password to any person. You agree that you will immediately notify us of any unauthorized use of your email and password by contacting us by sending us an email at enquiry@cartoonnetworkwave.com . Operator shall not be liable for any loss or damage arising from your use or misuse of your registered account or failure to comply with the registration requirements. Registration and use of the Service as a Subscriber with a registered account constitutes consent to receiving electronic communications from Operator and our partners regarding your account and purchases you make via the Services. You agree that any such communications from either Operator or our partners will satisfy any legal requirements, such as that notice be provided to you in writing. You also consent to receiving promotional messages, offers, surveys, and requests electronically. If you no longer want to receive non-transactional communications, you may unsubscribe at any time using the link at the bottom of the electronic communication. Please note that requests to unsubscribe may not take effect immediately, and there could be a delay before your request becomes effective. We reserve the right to disclose any information about our Subscribers or users, including registration data, in order to comply with any applicable laws and/or requests under legal process, to operate our systems properly, to protect Operator’s property or rights, and to safeguard the interests of our users. As a Subscriber, you may update your Payment Method at any time by accessing your registered account by logging in via the Services. If at any time you are unable to charge your Payment Method for the Merchandise Fee, please contact the Operator at enquiry@cartoonnetworkwave.com It is your responsibility to update and maintain the Payment Method associated with your registered account. As a Subscriber, you can cancel your registered account at any time by logging into your account via the Services and selecting the option to close your account. You have no right to a refund, and it is Operator’s policy not to provide refunds for any Merchandise, or to provide credit. For Merchandise purchased through a partner, other terms may apply; please review their policy on refunds. 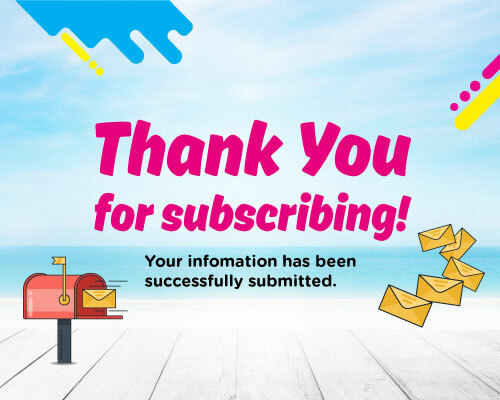 For Customer Service inquiries related to the Service, or your Subscription through Operator (including Merchandise Fee and Payment Method), please contact Operator via email at enquiry@cartoonnetworkwave.com . We take security seriously. We have imposed reasonable security measures to ensure the protection of our Subscribers. If you have reason to believe that your registered account credentials have been compromised or misappropriated in some way, you should contact us immediately at enquiry@cartoonnetworkwave.com . ADVENTURE TIME and all related characters and elements are trade marks of and © Cartoon Network. BEN 10 ALIEN FORCE and all related characters and elements are trade marks of and © Cartoon Network. BEN 10 and all related characters and elements are trade marks of and © Cartoon Network. BEN 10 OMNIVERSE, CARTOON NETWORK, the logos, and all related characters and elements are trade marks of and © Cartoon Network. BEN 10 ALIEN SWARM and all related characters and elements are trade marks of and © Cartoon Network. BEN 10 ULTIMATE ALIEN and all related characters and elements are trade marks of and © Cartoon Network. CAMP LAZLO and all related characters and elements are trade marks of and © Cartoon Network. CHOWDER and all related characters and elements are trade marks of and © Cartoon Network. CODENAME: KIDS NEXT DOOR and all related characters and elements are trade marks of and © Cartoon Network. COURAGE THE COWARDLY DOG and all related characters and elements are trade marks of and © Cartoon Network. COW AND CHICKEN and all related characters and elements are trade marks of and © Cartoon Network. DEXTER’S LABORATORY and all related characters and elements are trade marks of and © Cartoon Network. ED, EDD AND EDDY and all related characters and elements are trade marks of and © Cartoon Network. FOSTER’S HOME FOR IMAGINARY FRIENDS and all related characters and elements are trade marks of and © Cartoon Network. GENERATOR REX and all related characters and elements are trade marks of and © Cartoon Network. JOHNNY BRAVO and all related characters and elements are trade marks of and © Cartoon Network. MEGAS XLR and all related characters and elements are trade marks of and © Cartoon Network. MIKE, LU & OG and all related characters and elements are trade marks of and © Cartoon Network. MY GYM PARTNER IS A MONKEY and all related characters and elements are trade marks of and © Cartoon Network. SAMURAI JACK and all related characters and elements are trade marks of and © Cartoon Network. SQUIRREL BOY and all related characters and elements are trade marks of and © Cartoon Network. THE AMAZING WORLD OF GUMBALL and all related characters and elements are trade marks of and © Cartoon Network. THE GRIM ADVENTURES OF BILLY AND MANDY and all related characters and elements are trade marks of and © Cartoon Network. THE MARVELOUS MISADVENTURES OF FLAPJACK and all related characters and elements are trade marks of and © Cartoon Network. THE POWERPUFF GIRLS and all related characters and elements are trade marks of and © Cartoon Network. THE SECRET SATURDAYS and all related characters and elements are trade marks of and © Cartoon Network. TUZKI and all related characters and elements are trade marks of and © 2018 Turner Broadcasting System Asia Pacific, Inc. A Time Warner Company. All Rights Reserved. And other trade marks and materials as may be uploaded from time to time. Please enter your email address below to subscribe. © 2018 Cartoon Network. A Time Warner Company.